The 2019 Honda Ridgeline is a unique pickup with tons of innovative solutions. With a smart pickup bed and readily available power, this truck offers capability and versatility unlike anything else in the segment. From the utility-oriented truck bed to the comfy five-passenger cabin, this pickup offers average drivers the utility of a truck and all the comfort and versatility of their favorite SUV. The 2019 Honda Ridgeline has everything from capability to premium comfort. Whether you want to take your truck out for adventures or put it to work close to home, the Ridgeline has something for everyone. The bed is designed with lots of innovative solutions to everyday problems. It’s easy to load up any kinds of cargo, from materials for the garden to all of your favorite camping gear. From the outside in, the 2019 Honda Ridgeline is designed to be both rugged and refined. It melds form and function for maximum capability, aiming to improve on conventional truck styling. Bright LED headlights and taillights make it easier to see on the road, with available Auto On/Off and Daytime Running Lights for safety. Its aerodynamic exterior helps give you excellent fuel economy as well as reduced wind noise. With SUV-like comfort and versatile pickup utility, the Ridgeline has something for everybody. The 2019 Honda Ridgeline has lots of great capabilities and features to make your life easier. It offers lots of connected audio features so that you can take all of your favorite music, podcasts, talk shows, and more on the road with you. Standard Pandora compatibility and available SiriusXM Satellite Radio and HD Radio give you lots of options and access to all of your favorite radio stations. There’s also Apple CarPlay and Android Auto as standard equipment on some trim levels. It lets you use your compatible smartphone to easily access your music, directions, apps, and more through the Ridgeline’s Display Audio Touchscreen. There’s more technology packed into the 2019 Honda Ridgeline, including safety and comfort features. The Ridgeline offers an available Blind Spot Information System in addition to a standard Rearview Camera and more cutting-edge safety technology. There’s also Remote Engine Start, which you can use to get the engine running and preheat or pre-cool to set the perfect temperature before you get in. There are also available features like the One-Touch Power Moonroof to add class and sophistication to your journey. The 2019 Honda Ridgeline offers readily available power and easy drivability. With 280 horsepower and 262 lb-ft of torque, this pickup has the ability to take you on long highway cruises or tough towing jobs. The Ridgeline is available with 2WD or AWD so that you can take home the truck that’s best for your needs. There are advantages to both all-wheel and front-wheel drive, depending on what you want from your truck. If you plan on lots of hauling and rough travel, the AWD Ridgeline can tow up to 5,000 pounds! They also feature a standard integrated tow hitch with 7-pin connector to make your towing and hauling easy. Meanwhile, the front-wheel drive version offers more efficient packaging, better interior and cargo space, and better fuel efficiency. The intelligent AWD system also works with a traction management system, which gives you four unique modes for driving conditions in snow, sand, mud, or normal conditions. 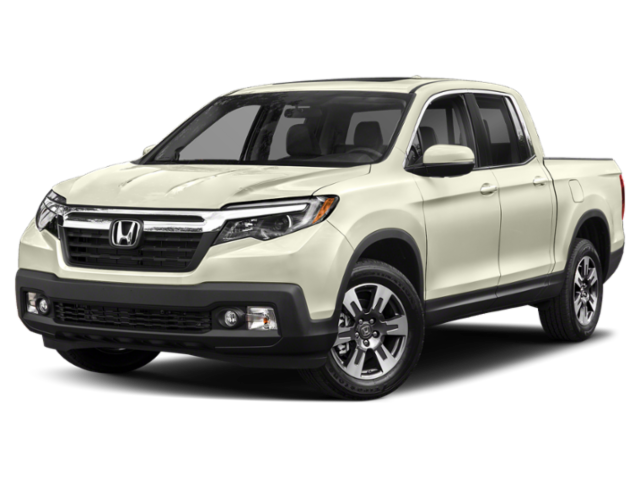 The 2019 Honda Ridgeline also features a lighter, sturdier frame and a unit-body construction. Its body panels and chassis are a single molded unit, unlike most conventional pickup trucks. This means that the Ridgeline has a rigid yet lighter structure, which lets it achieve excellent fuel economy and ride comfort. The Ridgeline’s interior is crafted for comfort as much as the bed is crafted for capability. It easily seats five passengers with comfortable, supportive seats for long drives or short jaunts. You can select an upscale, leather-trimmed cabin as well for added luxury. You’ll also enjoy features like a heated and leather-wrapped steering wheel, a leather-wrapped shift knob, and even available 10-way power seats for the driver and 4-way for the passenger. The 2019 Honda Ridgeline also has lots of additional accessories to make your pickup perfect. All-season floor mats are available to protect your carpets from muddy paws, wet boots, and dirty gear. There’s also options like illuminated door sill trims, which give a subtle but upscale touch and also protect the lower door sill from scuff marks. With tons of standard and available features, the 2019 Honda Ridgeline is up for any task or vacation. The 2019 Honda Ridgeline is dedicated to keeping you safe, too. It scores excellent marks on its NHTSA*** crash tests. It’s one of the easiest trucks in its segment in which to install a child seat, with accessible LATCH points and tethers. You can fit a child seat in any of the three rear seats easily. The Ridgeline comes with lots of standard airbags to protect you in the event of a collision. There’s also a compact spare tire, stored under the truck bed, in case you need a temporary tire change to get home. There’s also a standard multi-angle rearview camera on every Ridgeline. 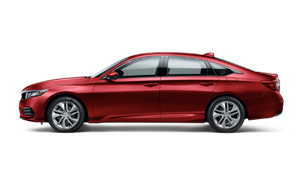 The top two trims include standard AWD, Honda Sensing, and more. Starting on the RTL-E trim, you’ll get the Truck Bed Audio System, as well as the blind spot information system, and a premium cabin audio system. The 2019 Honda Ridgeline Black Edition is the highest trim available, with all the amenities and more. You’ll get a special Black Edition exterior trim, as well as a special-edition leather interior. It comes with 18-inch black alloy wheels and red ambient LED lighting to complete the look. 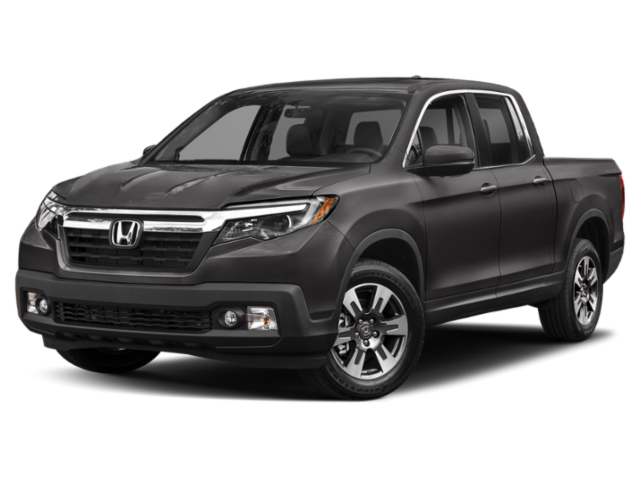 Need help choosing the right 2018 Honda Ridgeline? If you’re looking for an incredibly versatile pickup, stop by Buerkle Honda today to check out the 2019 Honda Ridgeline! Our great sales team can answer all your questions and make sure you find the truck with all the options and features you need. Check out our inventory online to see which trims, colors, and options we have in stock. If you have any questions, feel free to give us a call or stop by in person! Remember, if you buy a new 2018 Honda Ridgeline from us, you’ll be eligible for our Buerkle Rewards Plus program! This program is free to join and will give you access to 5% back on service and parts purchases, a 3-day, 300-mile exchange policy, 2 free oil changes, and much more. So come and see us soon at our dealership here in St. Paul, MN.